Before we start this party, I would like to highlight some of last week's entries. 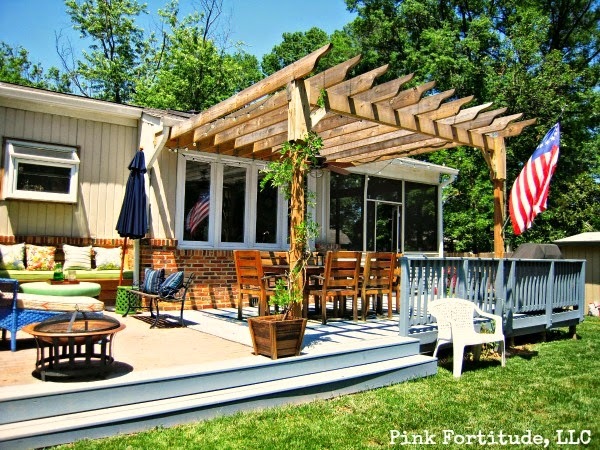 Holly at The Coconut's Head transformed her back porch into a beautiful and relaxing outdoor oasis. 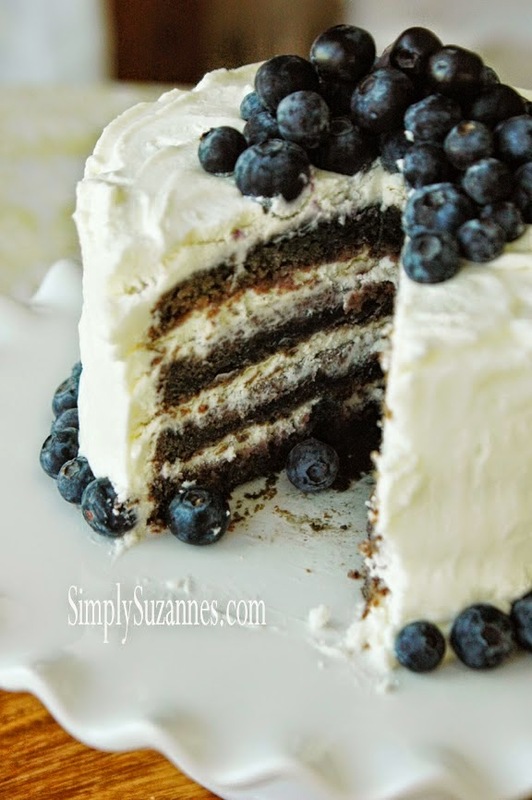 Suzanne at Simply Suzanne's shared an amazing recipe for blueberry cake. Sounds and looks amazing!!! 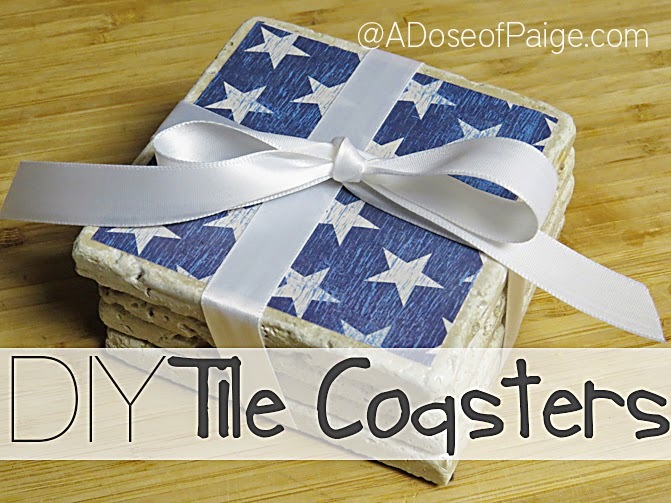 Paige at A Dose of Paige made some beautiful coasters using some small tiles, scrapbook paper and a little mod podge. Love, love this project! 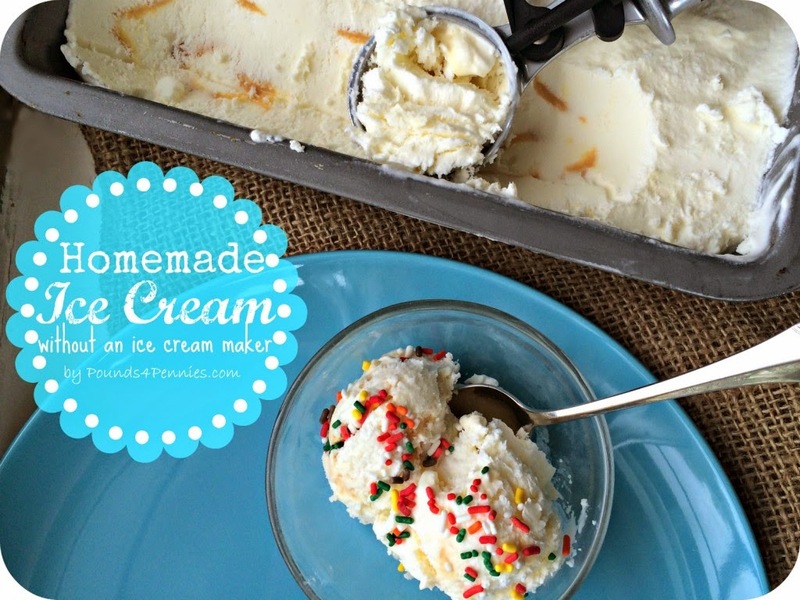 Another great recipe was shared by Amy at Pounds4Pennies. She gave us a tutorial on how to make homemade ice crean with having to use an ice cream maker. 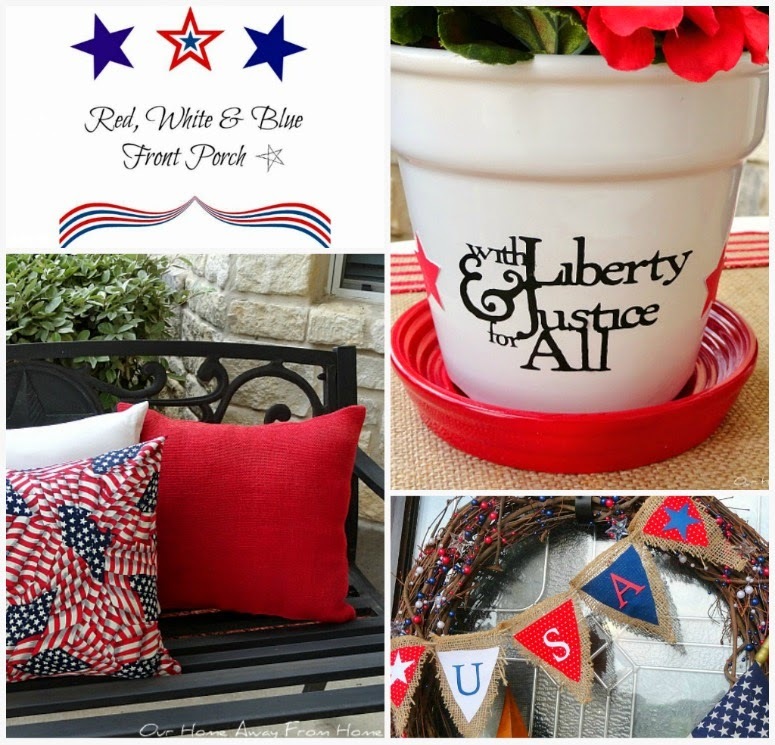 Kathe at Kathe With an E created a gorgeous Patriotic mantle scape for the 4th of July. 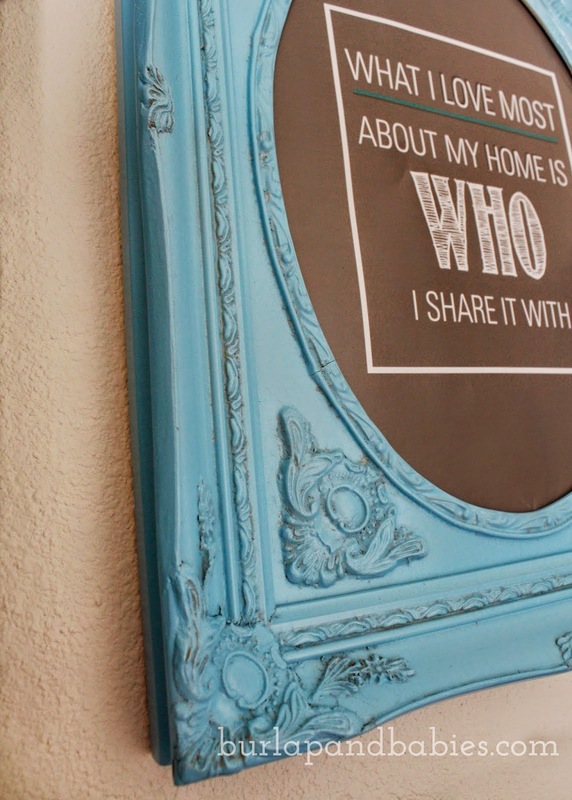 Amanda from Burlap and Babies shared with us how she transformed an old broken mirror into beautiful wall art. I can't wait to see what you have been creating this week! Today, I am proudly participating in a blog tour. I was invited by Lisa at Texas Decor. I have been following Lisa's blog for a long time now. I love her decorating style, so pretty and fresh, and her posts are always interesting and very inspirational to me. I love Lisa's post series " Some of my favorite things". She always has wonderful products and ideas to share with her readers. And, by the way, she is also one of the kindest and sweetest ladies in Blogland. Ok, lets start this tour! Our biggest project this year is building up our back yard and transform it into a nice outdoor space. A new deck is being built, an outdoor kitchen will be added and several more improvements. In the last couple of weeks, I have been mostly organizing our home and gave the coat closet a full remodel. I created a family gallery wall which I will be sharing soon. This is a hard question. :) I think my blog is different to others because it is about me, my family, my home. We are all different people and that is one of the things I most love about blogging. I get inspire by other blogs and I hope my little blog also inspire others. I love sharing my crafts, DIY projects and anything else that may be happening around our home. I love blogging and I really like sharing with others that have the same love for decorating and improving our homes. I have met so many wonderful people through this blogging journey and I have learned so much from all of you. I hope to be able to continue sharing for a long time to come. and make a plan on when they will be published on my blog. I am not much of a writer, so I try to write my posts like if I had you on front of me and was talking to you in person. After all, I am just a very down to earth, simple person. Now I would like to introduce to you the three wonderful bloggers I've chosen. They will all participate in the tour next Monday, July 7th. You will love these ladies and their blogs. They all have been very inspirational to me and are just the nicest people you will ever meet. 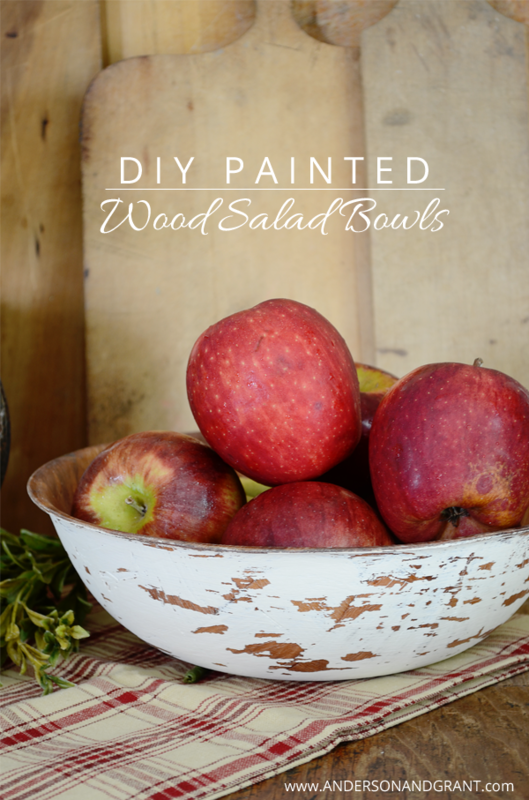 Her blog is entirely dedicated to home decorating along with gardening ideas and a few quick and easy recipes. Her design view: homey, budget-conscious, and trying to be as creative as she can in an elegant way. She enjoys the challenge of reinventing her decor and figuring out how to make something out of ‘nothing’, creatively and beautifully, urging and sharing with others to recycle reuse, revamp, redecorate and remodel with beautiful results. When you walk through her house and garden, you will see she likes to decorate her home so it brings out her style and a sense of what she likes to call home. Kathy is a native New Yorker now living in Ohio for the past 2 1/2 years. 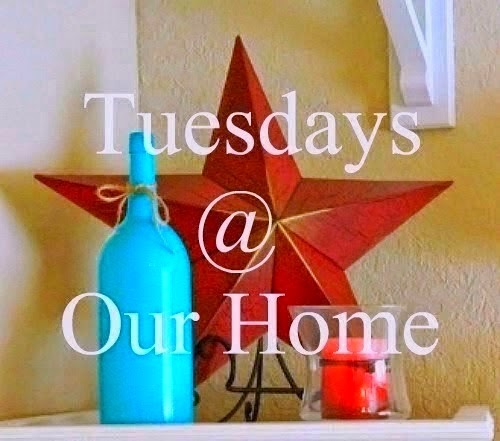 She loves to decorate, sew, create, makeover, repurpose, DIY, and make her home a more pleasant place to be on a budget. She has been married for 29 years and have two adult children and one granddaughter. Angela is an empty nester that blogs at twelveoaksmanor.com. She loves everything related to decorating and making a house a home. 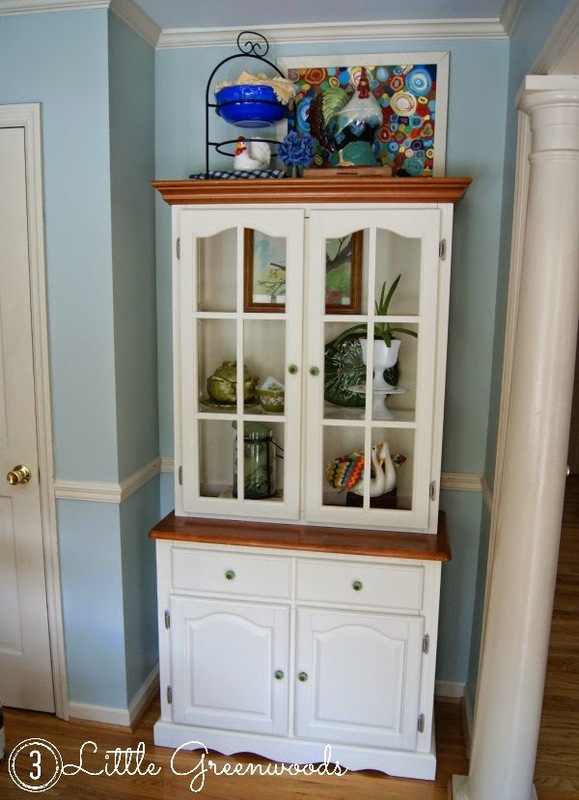 Once the children left the nest, she decided to re-invent their home, one room at a time! She would love for you to visit!!! I hope you pay these ladies a visit. Their blogs are full of gorgeous inspiration for your homes. This has been a week and a half for me, :) and it looks like the weekend is going to be more of the same. Life has been busy around here lately! that I have been working on in the last couple of weeks. Today I am sharing one of our latest projects, a DIY drop cloth bench for our bedroom. This was a free project for us, since we used supplies we already had at home. Ours was a "project weekend" and very productive to say the least. and I am almost done with the third. I will be sharing soon. Liz from Infuse With Liz created the most gorgeous Fairy Garden in her backyard. You just have to go see this post to appreciate all the amazing little details. Just beautiful! and she also shared a tutorial on how she achieved the new look. 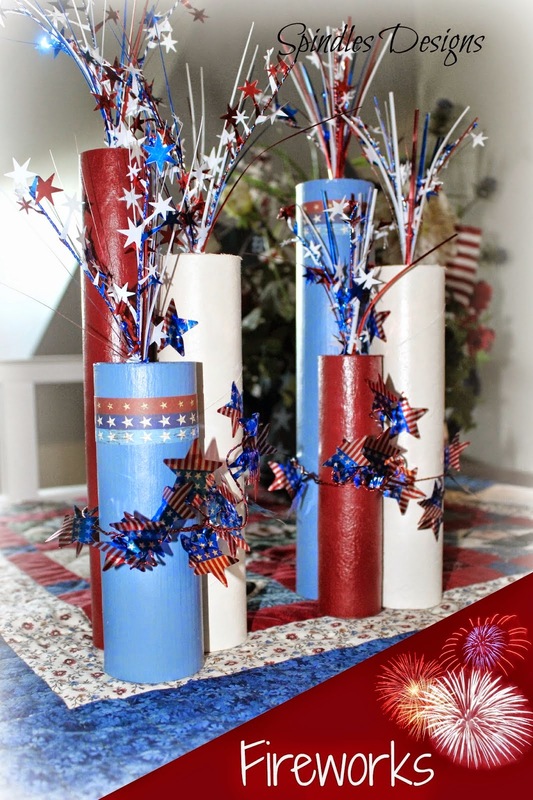 DIY Fireworks made out of simple cardboard rolls. 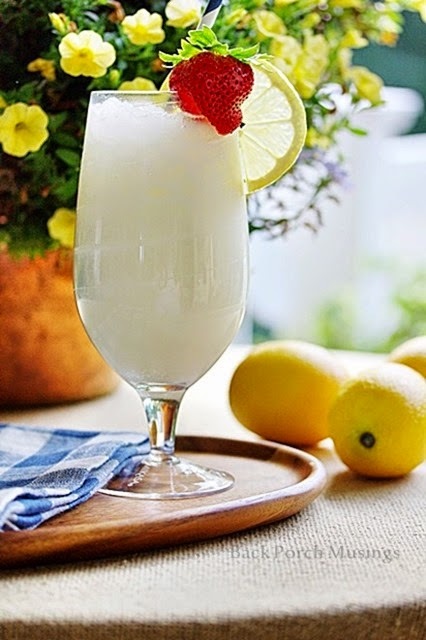 Pat from Back Porch Musings shared an amazing recipe for a different kind of lemonade. This drink sounds amazing! Perfect for the hot Summer months. Babs from Upstairs Downstairs shared three different ways to decorate an outdoor baker's rack. All beautiful ideas and inspiration! 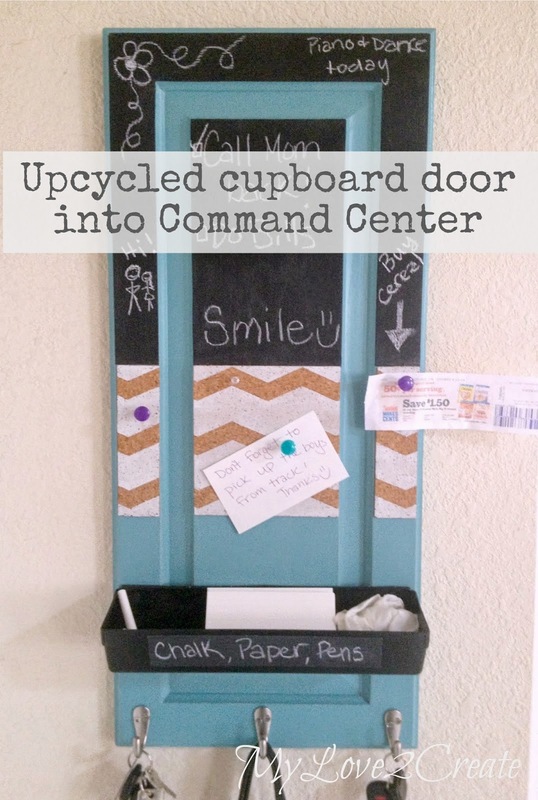 Mindi from My Love 2 Create made a gorgeous command center using a cupboard door. This is such a creative and beautiful way to stay organized! Please, stop by and visit these beautiful blogs. You won't be disappointed! 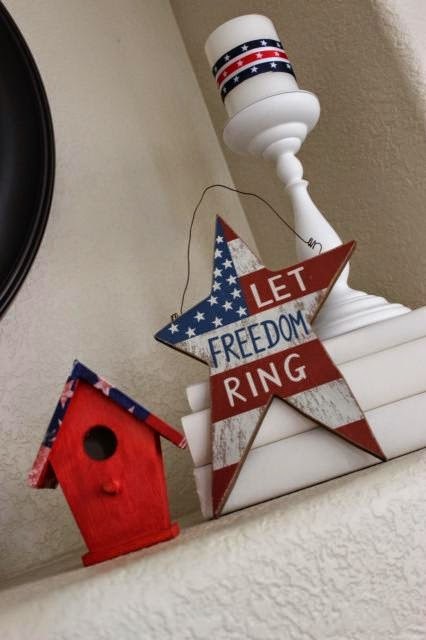 for the upcoming 4th of July celebration. It is hard to believe July is almost here! of a little lamp I updated this past week. I thought I share it with you in a couple of post so I don't overwhelm you with pictures. 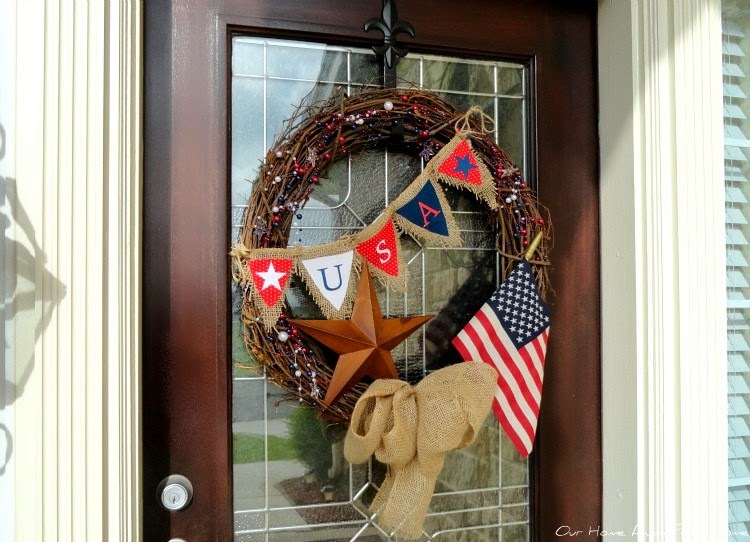 Today, I am sharing the patriotic wreath. You won't believe me, but I made it back in February. I hope you all had a wonderful Father's Day weekend with your loved ones. Our weekend was excellent, but busy. Although we reserved a little time to relax and family time, we also had plenty of chores to do. One of them was our front lawn. but that means to have to mow it regularly. We did this early in the morning since our temperatures are already on the high 90's and very humid. You want to see how hot? Well, this was my first surprise that morning. Yes! That is my lantern with the battery operated candle I have had on my front porch table for a long time. Our second surprise was even worse. 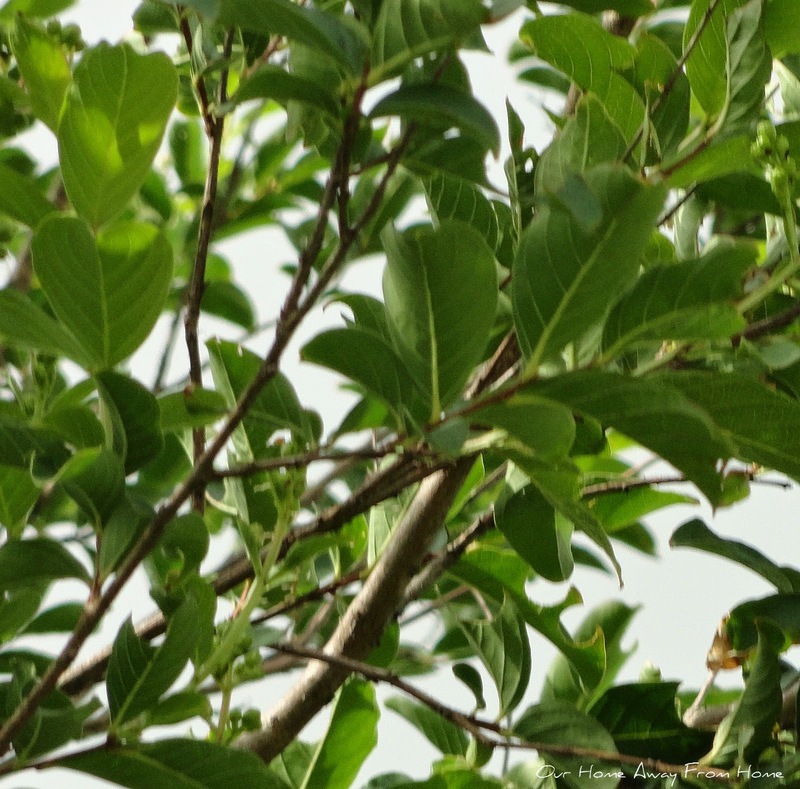 From far away, we could see these black thing on one of our Crape myrtles. First we thought it was a bird nest, but after closer inspection, this is what we found. Bees! Lots and lots of bees! Well, my friends, we had a problem! We have never seen anything like it! We literally had to run in the house and wait for the cloud of bees to disappear. And when we went back to see if they were gone, this is what we found. Isn't that crazy? It was just a giant ball of bees. Let's take a look at the features from last week. 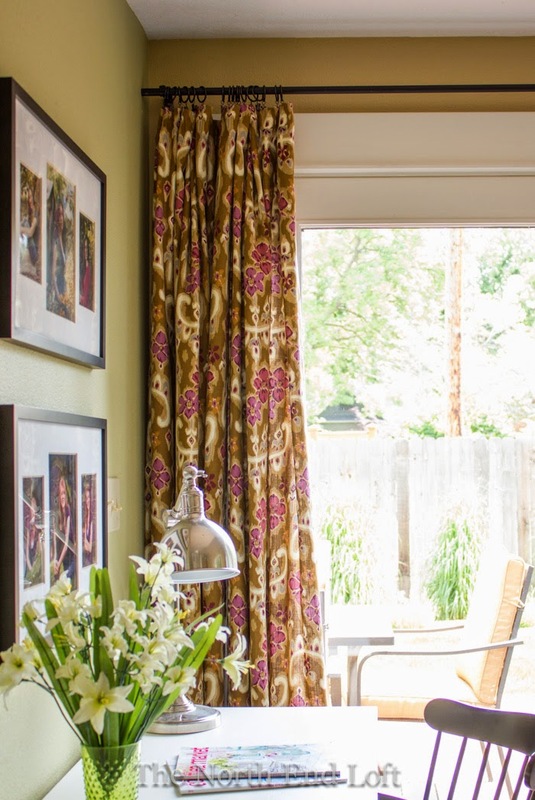 Laurel from The North End Loft made some changes to her windows and added beautiful drapes. You have to see her tutorial on how she improvised to create a rod long enough for a very large window. 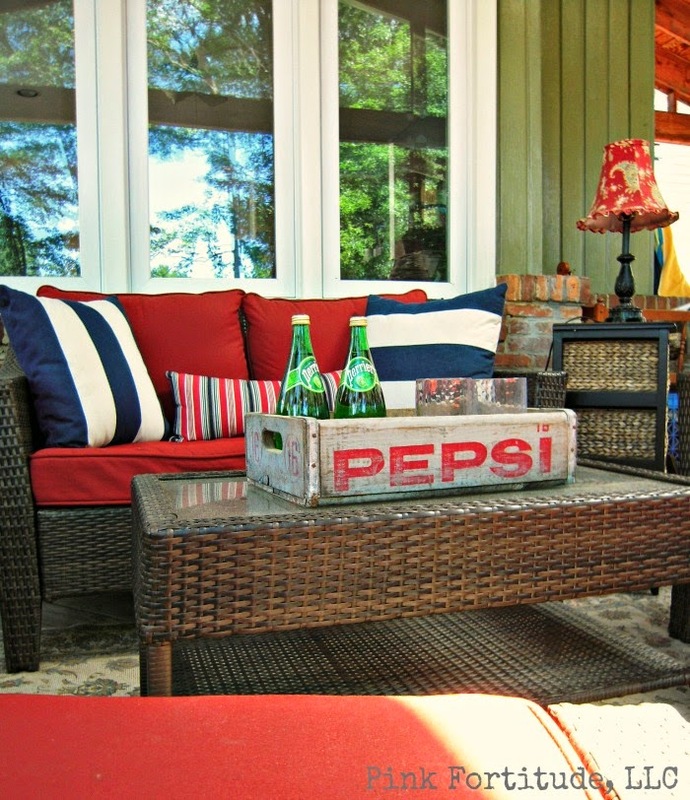 Jody from Southern Seazons impressed us once again with her beautifulhome decor. 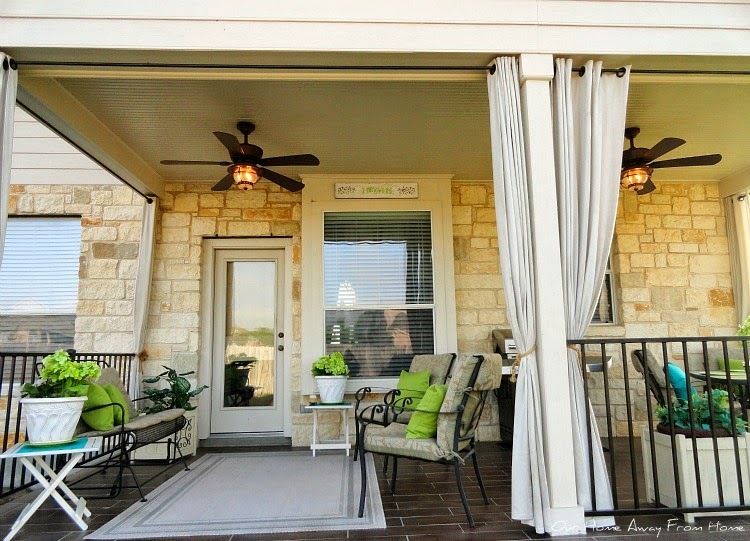 This time, she shared with us her gorgeous patio and her new outdoor decor. 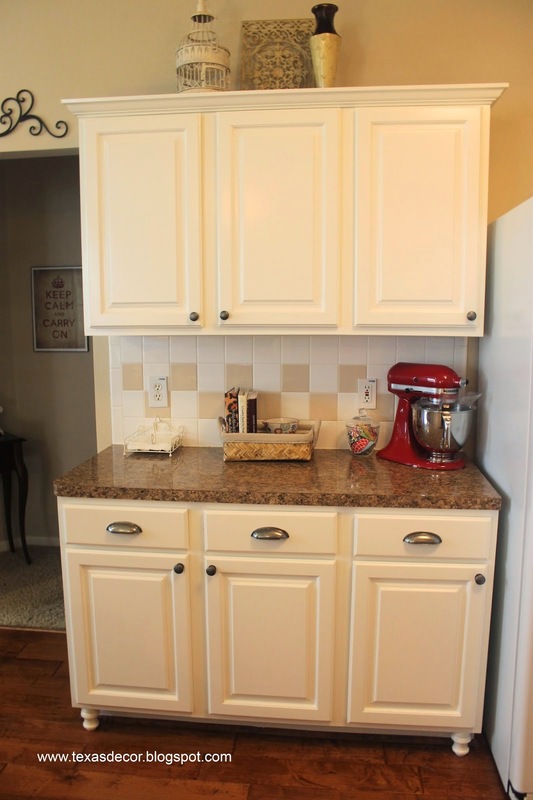 Lisa from Texas Decor revealed her newly painted kitchen cabinets. What a beautiful job they did. The changes are amazing! You just have to go see her full post. Beautiful! 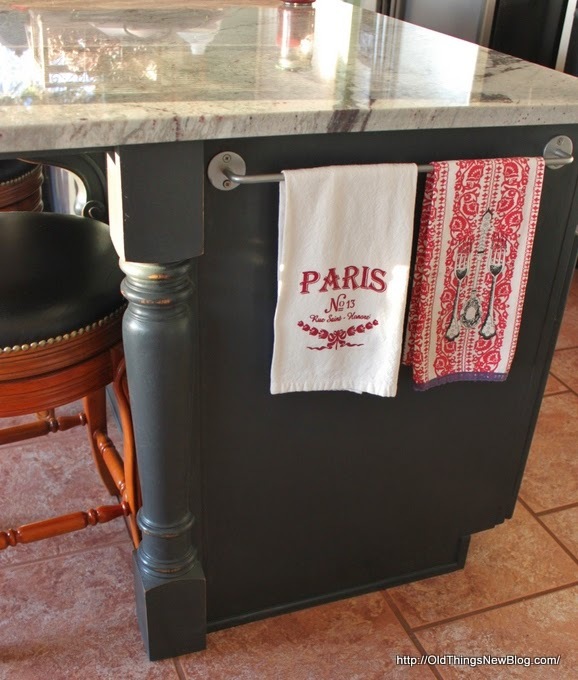 Patty from Old Things New shared a tutorial on how she remodeled her kitchen island. I have been wanted to do something like this to my island and I am very inspired after reading her post. Holly from The Coconut's Head gave us a tour of her newly renovated outdoor space. What a beautiful area to sit down and enjoy Summer. a beautiful piece of furniture for her home. So very pretty! Just perfect for that space! a DIY rope lamp with solar lighting. For now, we only have our back porch to sit and enjoy the outdoors, the rest of the yard is under construction in preparation for a new deck and outdoor kitchen, but even then, I want the porch to be cozy. Eventually we will have new furniture out there, but for now, I am working with what I have. I have a set of two very old ceramic lamps. When I say old, I mean they have been with us for about twenty years. They used to sit in our family room sooo long ago and they have been in my storage closet this whole time. To cover the lamp I used 3-ply manila rope I had in the garage. For this size lamp I used about 75 feet of rope. so I decided to just use the glue gun and it worked beautifully. and placed it inside the socket. Mine was a little wobbly, so, to secure it, I just used a little piece of batting to make fit really tight. I used the original shade, but I will change it eventually. And that's it! You now have an outdoor lamp. And it is fun to watch it light up by itself as the evening arrives and the sun starts going down. I think once we finish our new outdoor space, I will make a few of these. For now, I love the ambiance it gave to the porch. What do you think? Is it a keeper? A SMALL SINK FOR "THE SHOP"